Two Mississippi families - one black, one white - confront the brutal realities of prejudice, farming and friendship in a divided World War 2 era. Cinema is no stranger to tales of war. Many movies have portrayed the horrors of conflict and its aftermath. Few, however, have explored the nightmare faced by black soldiers on their return to the US after World War 2. As a result, it is this aspect of director Dee Rees’ superb adaptation of Hilary Jordan’s novel, Mudbound, that most stands out. Rees is a captivating storyteller. When Ronsel Jackson (a breathtaking performance from Jason Mitchell) returns from WW2, he suffers discrimination, violence and the most brutal of betrayals. It is both gripping and heartbreaking to watch. There is a glimmer of hope, however. Ronsel finds a friend and ally in Jamie McAllan (a moving portrayal from Garrett Hedlund). Their friendship - born from shared wartime experience - is an uplifting note in an otherwise dark and desperate time. 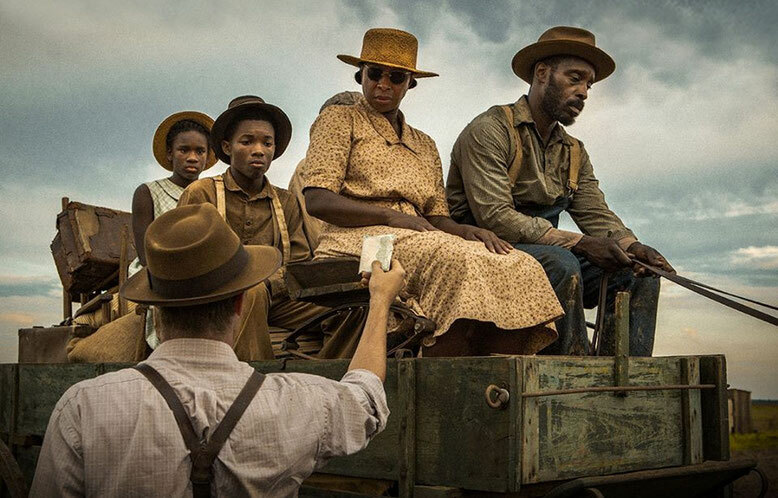 The growing bond between Jamie and Ronsel is only one of many narrative threads that connect Mudbound’s two families. These allow Rees and her brilliant ensemble cast to explore themes of family, segregation and slavery. The film also examines issues of female repression - first by following Carey Mulligan’s Laura and then from the point of view of Ronsel’s mother Florence. As Florence, Mary J. Blige anchors the film with an impressively restrained and powerful performance. The McAllans and the Jacksons are also connected by an unforgiving land steeped in mud. Describing their farm, Laura can only “think of mud. Encrusting knees and hair. Marching in boot-shaped patches across the floor. I dreamed in brown”. Cinematographer, Rachel Morrison, uses a brown colour palate and infuses every scene with mud. You can almost feel the grainy, sticky mud seeping off of the screen. 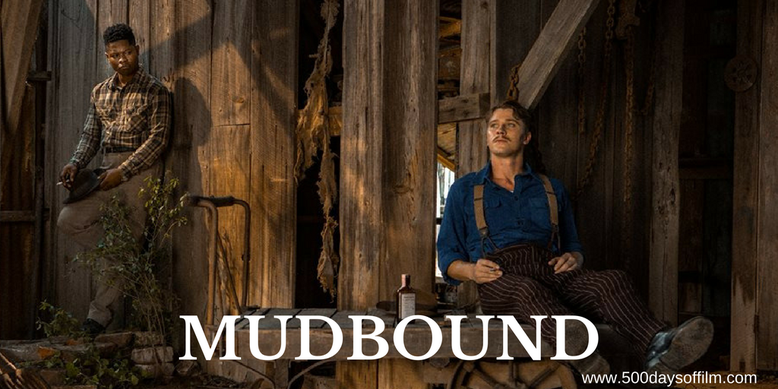 However, Mudbound is also stunning to look at and unquestionably cinematic - even as most audiences will watch the film via Netflix. Despite the hostile landscape, both Ronsel’s father, Hap (Rob Morgan), and Laura’s stoic husband, Henry (Jason Clarke), understand all too well the importance of land ownership and how it can impact a person’s identity and perceived value. In another place, another time the two families could have supported each other and, in some respects, they do. However, this is 1940s Mississippi - a time of segregation and division. Rees is honest and restrained in her depiction of the time, portraying a world where everyone understands their position in society. Henry does not question it, Hap and Florence are resigned to it - to a life of subjugation and silence. A movie with so many complex themes and conflicted characters can often get away from a director. Not so with Mudbound. Rees tells her epic American tale with confidence and clarity. Her effective use of voice over narration is both poetic and deeply poignant. Meanwhile, Rees is unafraid to portray the horror inherent in Hillary Jordan’s story. As the film moves into its final act, she forces us to look into the black heart of hatred and senseless violence. It would, of course, be something of a comfort to consign these awful actions to the history books. However, many of the themes explored in Mudbound are still all too relevant today. If you have, what did you think of this film from Dee Rees? Let me know by leaving me a comment in the box below or via Facebook or Twitter (@500DaysOfFilm).